The Argus 21 is a 35mm film camera, manufactured from 1947-52. The distinguishing feature of this camera is the "Markfinder". 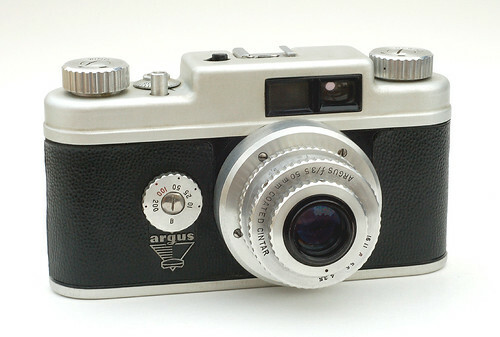 Rather than the rangefinder found on its younger siblings (the Argus C4 & Argus C44), the Argus 21 features a viewfinder with a projected frame mask to aid in photo composition and eliminate eye-position error.